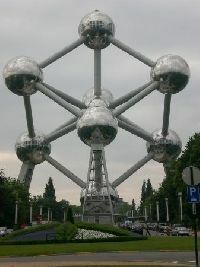 The commune of Brussels comprises everything within the pentagon-shaped inner ring road (the historic centre), although strictly speaking it also includes swathes to the north up to Laeken, to the south down Avenue Louise into Ixelles and to the east into the EU quarter. Inside the pentagon, many people choose to live to the north of Boulevard Anspach around Rue Antoine Dansaert, the Place Ste Catherine and along the canal, where old warehouses have been converted for trendy loft living. The Sablon area, with its exclusive art galleries, antique shops and café society, is one of the most desirable addresses in the city for well-heeled singles, while cheaper options are to be found in the working-class Marolles. Brussels boasts many of the city’s most impressive features, including the Grand Place and the Palais de Justice, as well as being a cultural hub for its museums, theatres and libraries. The flipside of life in the commune is the lack of green spaces, although the modest 18th-century Parc de Bruxelles is popular with joggers. Large supermarkets are also hard to come by, but there are plenty of high street shops along the Rue Neuve as well as boutiques in its elegant galleries. The city centre is well connected to the bus and tram network and is also crossed by both metro lines. The Gare Centrale offers fast access to the airport as well as to the rest of Belgium and beyond.